"Rough enough to scrub away your skin’s imperfections, yet gentle enough to hydrate and moisturize your skin." It's Time to Wake Up Your Skin! 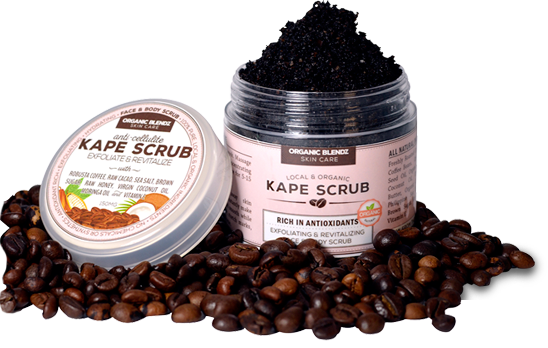 Our Kape Scrub features the not-so-secret ingredient: freshly roasted espresso coffee. 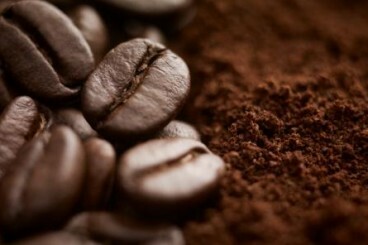 The coffee’s high caffeine firms the skin, stimulates blood flow and clears away cellulite and stretch marks. 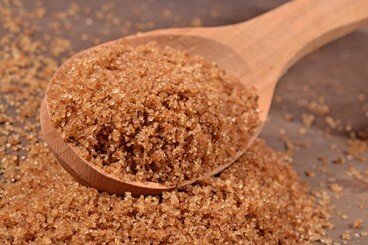 The raw brown sugar and sea salt exfoliates dead skin cells revealing healthy, glowing and supple skin. The raw cacao is loaded with antioxidants to nourish and protect the skin. And lastly, the perfect amount of moringa seed oil, virgin coconut oil, and raw honey keep your skin soft, moisturized and healthy. 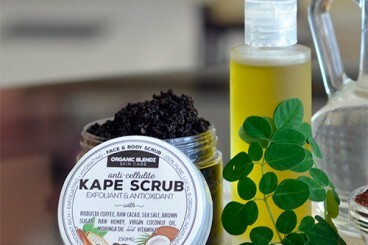 Combined into one amazing scrub, all of these natural ingredients make your skin feel super soft and fresh after just one use, not to mention it smells amazing! Ground up finely to make a perfect face & body scrub. The high caffeine content of these freshly roasted coffee beans stimulates blood flow targeting cellulite, stretch marks, varicose veins, and acne. Organically grown, cold-pressed Extra Virgin Coconut Oil will hydrate and moisturize your skin without clogging your pores. 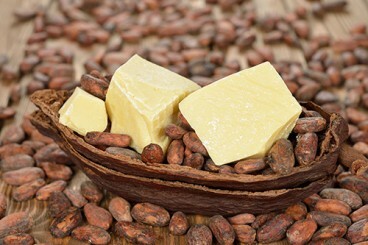 Organic Raw Cacao with over 35% Cacao Butter is a great source of antioxidants, which help combat free radicals and help save your skin from the inevitable signs of aging and environmental stressors. Rich in antioxidants and fatty acids along with a great multitude of highly valuable nutrients such as Vitamin E, B & C. Moringa Oil is a highly regarded secret ingredient in many expensive, name brand cosmetics. This natural antiseptic not only reduces inflammation, but it also targets skin conditions and imperfections, as well as treating wounds. It removes dry, flaky skin to reveal the best you yet. Brown Sugar is also full of glycolic acid, an alpha-hydroxy acid that is crucial for maintaining healthy skin and is usually a key ingredient in pricey products. The natural glycolic acid in raw sugar not only helps condition and moisturize skin, but protect it from toxins. Truly, 100% Pure- no synthetic chemicals, no artificial fragrances, no preservatives, no alcohol or any other toxins. "This stuff is amazing!!! It has evened out my skin, smoothing any bumps and making my skin super soft. 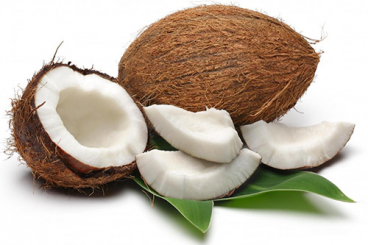 It moisturizes any dry areas and I have seen an amazing difference in my skin." AWESOME PRODUCT BEST BODY SCRUB IVE EVER USED!! "This is seriously the best thing I have ever experienced in my life! It leaves my skin not only feeling amazingly soft but the smell is intoxicating. Don't even need to put lotion on after I dry off. This is definitely a must have for any woman!" "This is Am Azing!! this smells Cocao and Coffee same time. i love it , i have been using it every other day in the shower. makes my skin really soft. 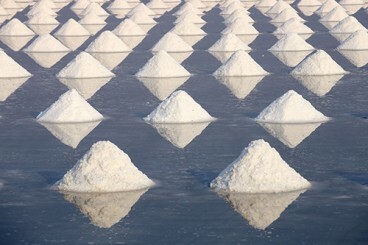 other than that it makes you feel relaaaaaaxed!!!"